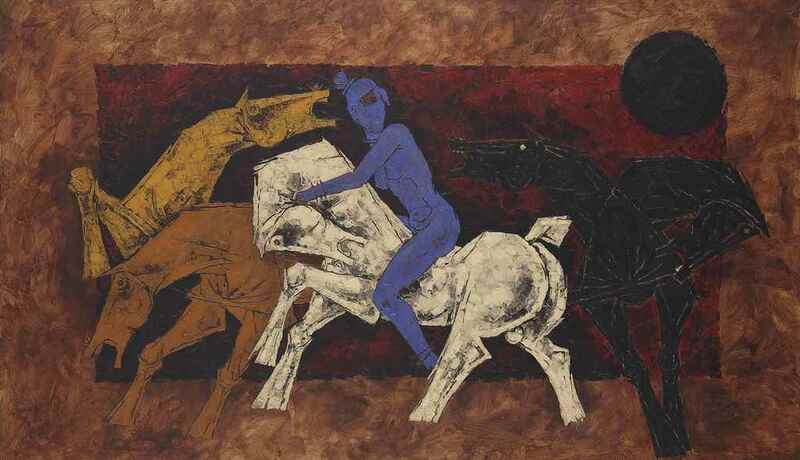 Untitled (Horses and Rider) | Mumbai | acrylic on canvas | 125.4 x 213.4 cm. Universally acclaimed as one of India's modern masters, Maqbool Fida Husain is unparalleled in his breadth of artistic vision and sophisticated re-contextualization of European Modernism. From his humble beginnings as a billboard painter, Husain successfully transcended the critical constraints of regional aesthetics and public opinion. Every single work by Husain is a paean to the Modernist idea that an artist is a visionary engaging in an act of metaphysical creation. 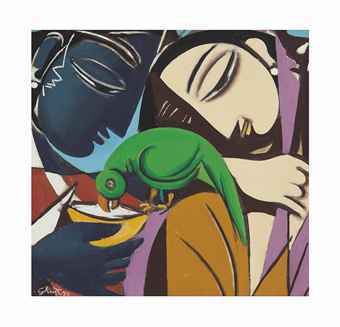 After a brief stint at the Indore Art College, Husain migrated to Mumbai and supported himself painting cinema hoardings. 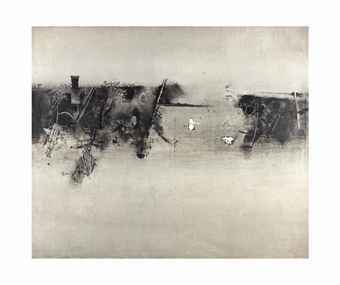 In 1947 he became a founder member of the Progressive Artists’ Group, and in 1968, he won the Golden Bear for his film Through the Eyes of a Painter. His work showed in major solo exhibitions around the world up until the final years of his life, including, most recently, the Peabody Essex Museum in Salem, Mass., USA, and the Asia Art Gallery in London. It also showed in many important international exhibitions, in cities like Geneva, New York, Washington D.C., Oxford, and at the Tate Gallery, London (1982). 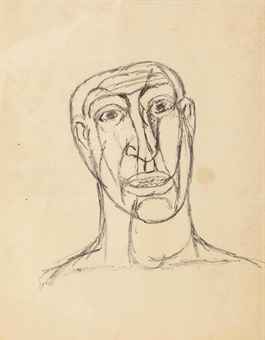 In 1971, his work showed alongside Picasso’s at the Sao Paulo Biennial. He was honored copiously throughout his life. He received honorary doctorates from Benares Hindu University, Jamia Millia Islamia and Mysore University. Between 1986 and 1992, he was a Member of Parliament in India. The Government of India awarded him the prestigious Padma Shri award in 1955, the Padma Bhushan in 1973 and the Padma Vibhushan in 1989. In 1997, he received the Aditya Vikram Birla Kala Shikhar Award for lifetime achievement. Husain was born in 1915 in Pandharpur, Maharashtra, in India. He passed away in London in 2011.